I love wineries. In part, obviously, because I love drinking wine, but also because I find it fascinating to hear about the different vintages directly from the winemakers themselves. I’m no sommelier, but over the years I’ve managed to pick up a teeny bit of wine vocabulary and knowledge. I know I like a dry, full-body red. I know I like a crisp, fruity white. I know I don’t like anything with tobacco, and I know I definitely don’t like a buttery chardonnay. Sean and I have done a bit of wine exploring since arriving in Georgia, but last Sunday was only the second time I actually went to a winery. We’ve been to several tastings and wine shops, and I’ve just started to develop a palate for Georgian wine. It’s very different from anything I’ve previously experienced, largely due to the unique production methods. Traditional Georgian winemaking uses the kvevri, a large clay pot, for fermentation. The grapes are pressed and the juice is poured into the kvevri, along with the grape skins, stalks, and pips, which is then buried and left to ferment for at least five to six months. It yields a very unique taste. I’m still heavily resisting those sweet reds, however. No thank you. 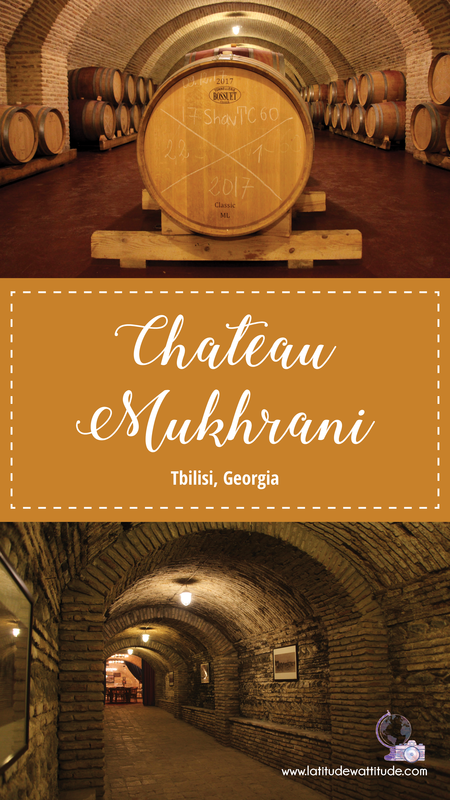 The winery we visited is Château Mukhrani which is about 40 minutes outside Tbilisi. 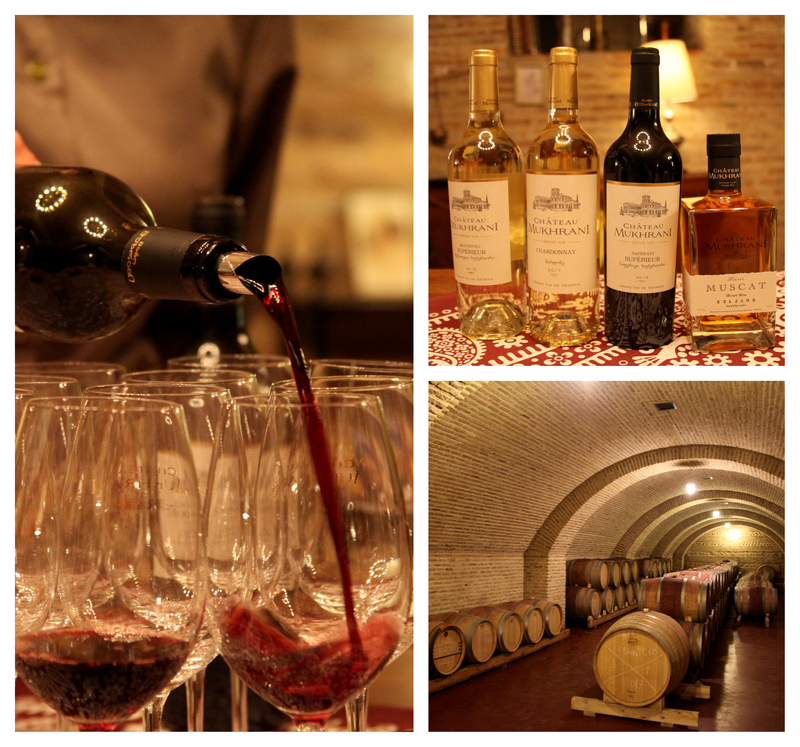 The winery boasts a rich history. 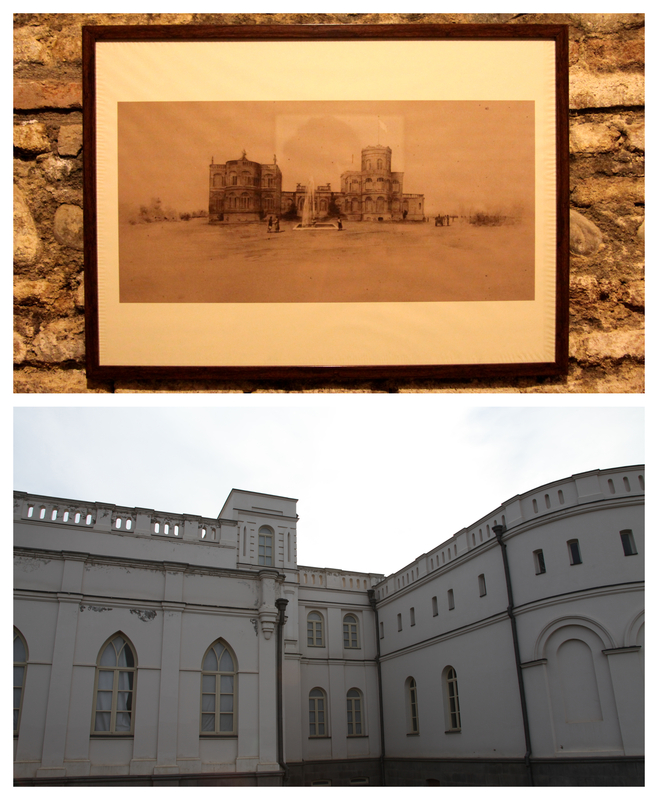 In 1512 it became an estate of the governing royal family Bagrationi. For many years it existed simply an estate house, and the land surrounding the castle was home to 1,500 families in 56 villages. In the 19th century, Ivane Mukhranbatoni, a famous political and military figure of his time, was fascinated by the art of winemaking. This was only strengthened after a trip to France when he visited the Bordeaux and Champagne regions, and upon returning to Georgia he was inspired to give up his military and political career to pursue his passion. Mukhranbatoni also was a pioneer in bringing Western winemaking practices to Georgia, implementing steel tanks and barrel aging alongside the traditional Georgian kvevri methods. His wine quickly became world famous. Unfortunately, the success of the estate was hugely interrupted. During the Soviet era, the government ran several anti-alcohol campaigns which massively impacted Georgian winemaking. Château Mukrani was hit extremely hard by these practices. Not only was the winery completely shut down and abandoned, but Soviet officials also filled the entire seller with dirt, essentially destroying the beautiful building. Thankfully, this is not the end of the story. In 2002, a group of businessmen came to the rescue of Château Mukrani. 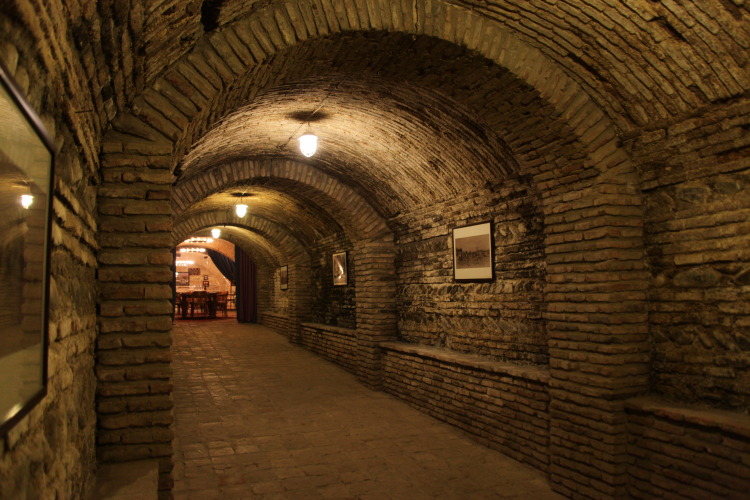 They, along with a team of workers, meticulously restored the cellar, removing the dirt by hand as to not further damage the intricate brickwork. 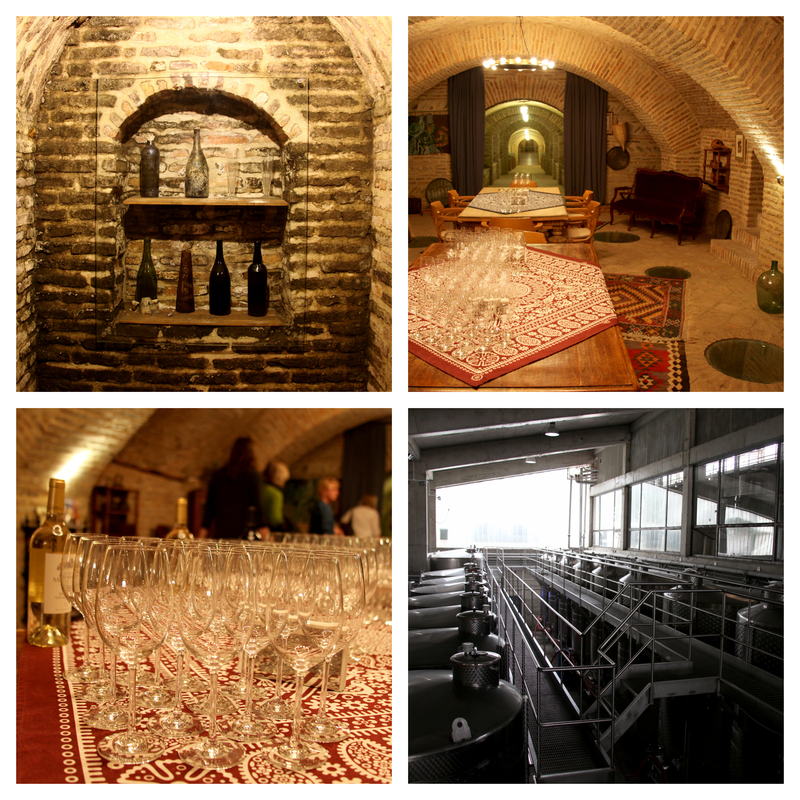 Today, the winery is fully restored and includes a tasting room and restaurant, beautiful gardens, and, of course, the cellar which holds over 1,000 barrels of wine at any given time. Our trip to the winery included a tasting of some of their products and a lovely dinner. We sampled the Rkatsiteli Superior (a dry, crisp white), the Chardonnay (which was thankfully NOT buttery), the Saperavi Superior (always reliable), and their Muscat dessert wine. We were able to purchase wine from them directly and, of course, I took advantage. Oddly enough, the previous weekend I had tried their Kindzmarauli and loved it. It remains the only, and I mean ONLY, sweet red wine I actually enjoy. Perhaps Georgian wine is growing on me after all.